Nvidia is bringing brighter images and sharper special effects to its new flagship GeForce GTX 980 and 970 graphics processing units. The products are the company's fastest GeForce desktop GPUs and are targeted at high-end gamers involved in 4K gaming. Nvidia also hopes to boost virtual-reality gaming on headsets through the products. The GTX GPUs are based on the second-generation Maxwell microarchitecture, and combine hardware and software improvements for better gaming, said Scott Herkelman, general manager of the GeForce business unit at Nvidia. The $549 GeForce GTX 980 and $329 GTX 970 will ship this month. The GTX 980 can deliver 5 teraflops of performance while drawing 165 watts of power, compared to its predecessor, the GTX 780, which delivers 4 teraflops of performance while drawing 250 watts of power. The 980 has 2,048 processing cores and a maximum clock speed of 1.2GHz. 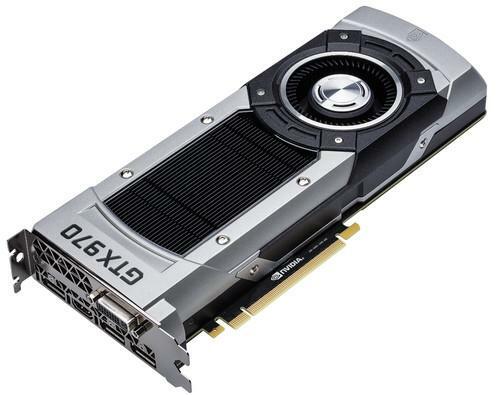 The GeForce GTX 970 tops out at 4 teraflops, while drawing 145 watts of power. It has 1,664 cores and a maximum clock speed of 1.17GHz. The GPUs have 4GB of GDDR5 memory and are also the first to support the emerging HDMI 2.0 standard, which supports 4K video. They also have hardware encoding and decoding for 4K video based on the H.265 (HEVC) format. Herkelman couldn't say if the GPUs had hardware acceleration to decode 4K video based on Google's VP9 format. Besides faster horsepower, on-chip features help improve the image quality of low-end games, Herkelman said. The GPUs can deliver 4K-quality images to 1080p screens by filtering and improving the quality of pixels. The upscaling, enabled by a feature called Dynamic Super Resolution, is accelerated by the hardware and reduces the processing load on CPUs. The feature is automatically enabled and can be shut off through the GeForce Experience software. Another new chip feature is Voxel Global Illumination, which allows lights to bounce off surfaces. For example, the GPUs will be able to dynamically replicate how a sun's lighting reflects off stars or how light from a bulb reflects off a wall and other surfaces in a room. "We can do lighting dynamically for the first time ever," Herkelman said. Virtual lighting in games can be taxing on processors, but the new GeForce GPUs have features to reduce the processing load, Herkelman said. Voxel will also make it easier for game designers to define a path of light when writing a game. The GPUs also speed up multimedia tasks like video editing, Herkelman said. The graphics processors support Nvidia's CUDA, a set of parallel programming tools that can harness the joint computing power of CPUs and GPUs. Browsers already offer the ability to off-load Adobe Flash video processing to GPUs. Nvidia has included features that make streaming and broadcasting games faster and easier. Nvidia's latest GeForce graphics cards are already able to stream games from PCs to the company's Shield handheld console gaming tablet, and 4K streaming could come in the future. New features allow for smoother game-play broadcasting on Twitch.tv, a live video-game streaming service that is being acquired by Amazon in a deal worth $970 million. Nvidia competes in the GPU market with Advanced Micro Devices, whose chips are used in the PlayStation and Xbox One gaming consoles. The GTX GPUs compete with AMD's latest Radeon R9 graphics chips, which have proprietary technologies to boost gaming.